For the last week I've been working on some eyecandy as well as the new UI. I felt like this was something I had to do because I know that this game engine has so much potential, and somewhere down the road I let the graphics stray down the wrong path. So I gave it a shot and updated the lightning, water, lava and the rock. First of, I have given all the creatures and buildings in dungeon new specular textures so that the materials looks much more alive. Here we have a screenshot of the Dark Mother and the walls surrounding her, you can see how the light shines on her demon like skin, and that the walls reflects the light in a appropriate manner. 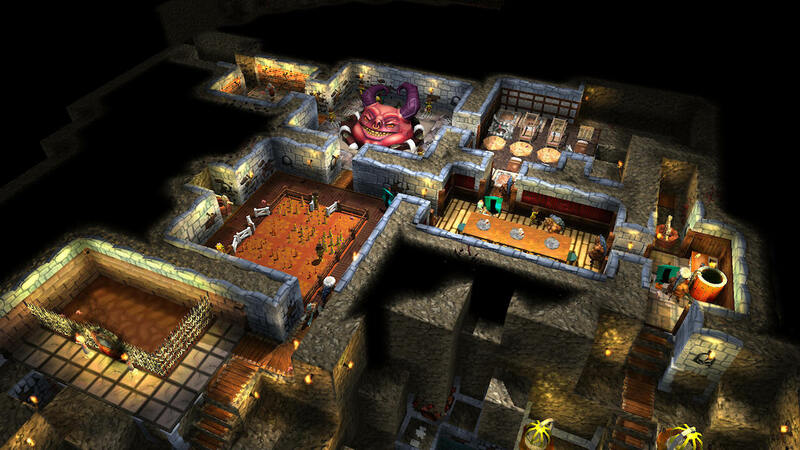 One thing that I've been working on before and never got right was that the dungeon was either to dark or to bright. I had trouble giving the rooms enough lights to not look empty, and if I gave them some overall lights the rest of the dungeon usually got to dark because I didn't want to overexpose the lightning. Now this is solved! What I did was that I gave all the room objects a light above them, which made them stand out more and look a lot more active. 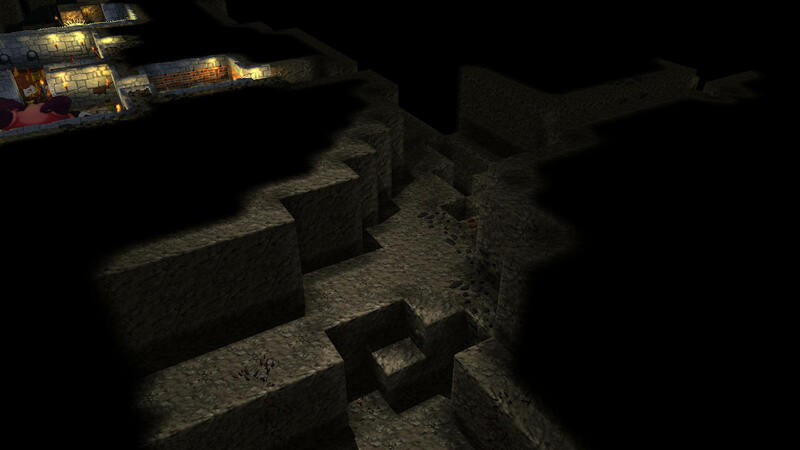 Another feature I added to make the dungeon look less pale was that I gave all the corners shadows. If you look at the picture below you can see that all the corner edges has a darker edge, and if a wall edge is facing an open area it is made a little bit brighter. 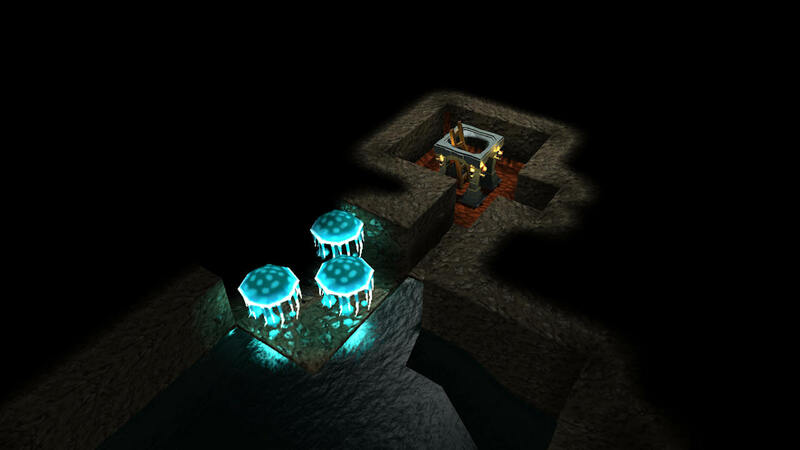 It is not much brighter or darker, but it is enough to give the player a much better feeling of depth. I just had to replace the rock texture! The problem with the old one was that the color was way to outstanding, and as it is a rock I don't want the player eyes to be distracted by it. Just like the lights above important buildings make these buildings stand out, a grayer texture makes the rocks stand out less, and by doing this the important buildings stands out even more. This screenshot may not be the perfect example of this because it only features rocks, but you can check out the other screenshots to see what I mean. 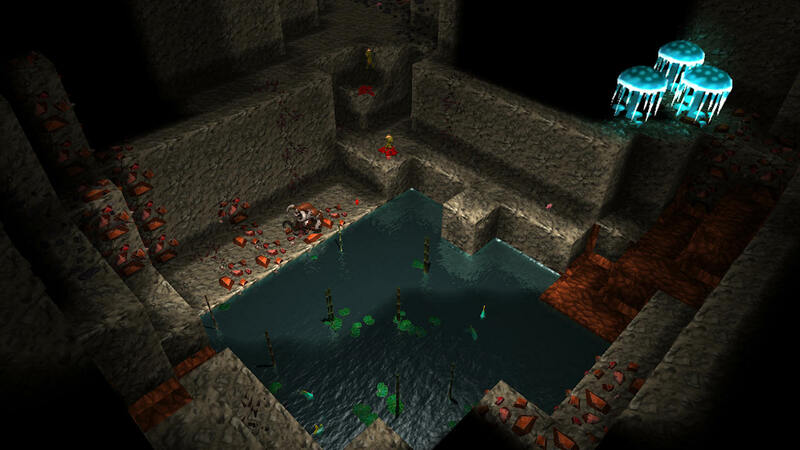 As everything else in the dungeon started to look more realistic (but not too realistic) I had to rework the water as well. The old green water just didn't cut it, it just didn't look like water. So now we have a more realistic looking water! I made some research on this and the most authentic water color in a cave would be the same color as the rock surrounding it, and a lot darker. But I had to gamify it so that it was easier to see and to select, therefore I gave it a bit greenish color. Here you can see an example of a calm lake that is reflecting the light from the hand, but is also reflecting the rocks surrounding it. The cyclotaur is also being reflected but it is much more easier to see this in game than with a screenshot. 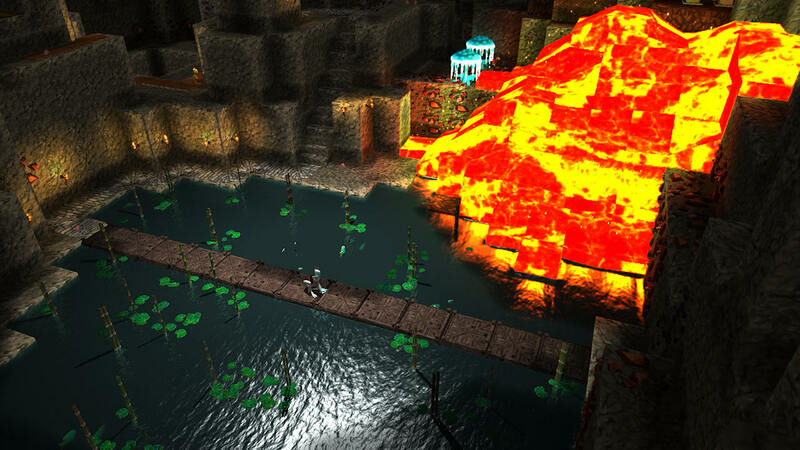 The lava textures has also been reworked, here we can see a majestic image of a lava fall next to a lake. I didn't post any images on the new UI and menu system because I wanted to leave that for my next newsletter. Right now everything is working almost as it should and I mostly have to check the game for bugs. So for the next week I will play through the game over and over again searching for bugs that may have come up with this huge code re-factorization I've made. So hopefully in a week or two I will be able to release a new version. But in the meantime I will need bug testers, if you feel up to it just let me know and I will add you to my pre-release list. I'll get crackin on the current list sometime tomorrow morning, but tonight I'll give it a basic run through and make some notes if need be. Man, been waitin for this for some time; so excited! Looks nice, but didn't you also mention in the email that you've reworked the lava too? Not seeing that in the above post. Thank you so much Mello, I know you are always there for the bugs But the new version isn't released yet, it will probably take another week or two. (04-11-2017, 02:03 AM)City Builder Wrote: Looks nice, but didn't you also mention in the email that you've reworked the lava too? Not seeing that in the above post. 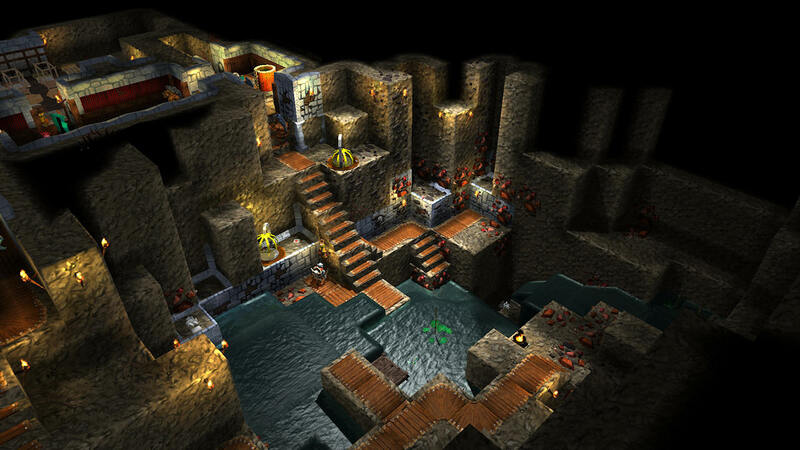 Somewhat reminds me the lighting in DK 1, especially when it comes to torches on the walls and the colours of the earth blocks lightened by these torches. 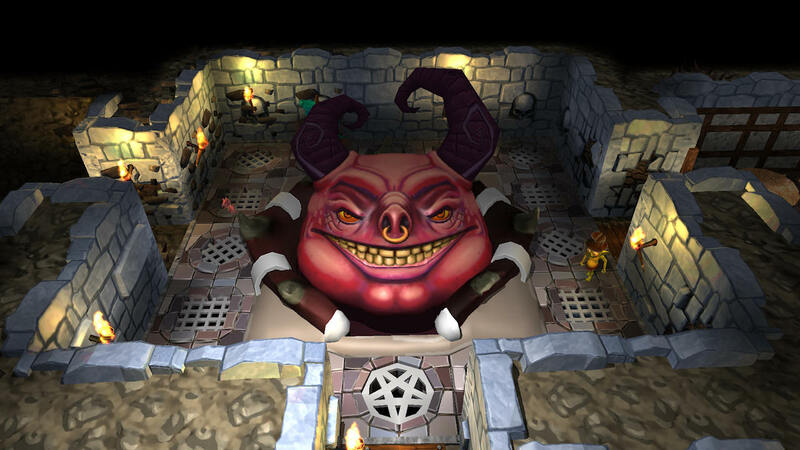 Anyway, in my opinion the renewed graphics fits dungeon atmosphere much better, earlier some colors where a little "motley". (04-11-2017, 01:24 AM)Rasmus Wrote: But in the meantime I will need bug testers, if you feel up to it just let me know and I will add you to my pre-release list. Ah I see. I thought maybe you had something preliminary ready to test before dropping it on Steam. I don't know how you planned to implement that whether you want to use Steam's Beta Feature, or release it through the website before updating Steam. We'll make it happen captain! (04-11-2017, 04:38 PM)Mello Tonin Wrote: Ah I see. I thought maybe you had something preliminary ready to test before dropping it on Steam. I don't know how you planned to implement that whether you want to use Steam's Beta Feature, or release it through the website before updating Steam. I think that is a good idea. In a week or so I will make it available for those that have bought it on the website. I will also make an announcement on the steam forum so that those that want to help and don't have a website login will get it as well. The important thing is that I don't release a buggy version on Steam that can give Dwelvers bad reviews. Is it me or that lava seems much brighter than the rest of the background I wonder if giving the lava more light power could make it less in contrast with the rest? Not sure I follow. The lava on the screenshot is already much brighter than the rest of the screenshot. So it's just me. I'll check how does it look in the game itself. I thought if lava lighting (not lava itself) could reach further / be brighter maybe the transition of light between lava and the rest of background could be less visible, so the lava would not look so contrasting to the water and walls which seems to be much darker. Hmm, you are right. The lava should light up a bigger area and not just the close by blocks. It's not a priority for me to fix right now, but I will check it out as soon as I have some spare time. Probably after the website release during the bug-testing. @Sebt, I also removed the trailer in the top of the news feed because I got some feedback that it is confusing having it there when the screenshots in game are totally different. I will have to make another video soon. OK, yea, I couldn't explain it better.